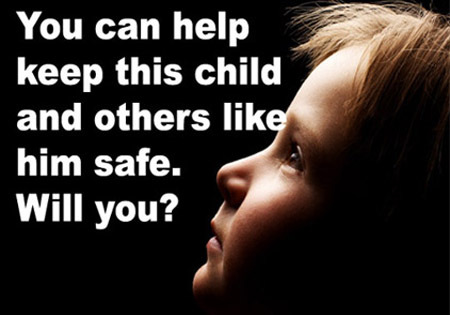 Child Abuse: Who will help our children? With child abuse prevention month around the corner these stories serve as a wake-up call to raise awareness for child abuse prevention. These few stories are enough to make anyone sick and angry. And they should be enough to make you want to get involved and raise awareness so that all children are safe. A recent study shows that child abuse may dramatically infect the mental health of a child’s future. And besides emotional and behavioral issues, it can also increase the risk of diabetes, obesity and other metabolic disorders in adulthood. The findings also suggest that stress experienced during childhood can lead to long-term hormone impairment. Researchers recorded levels of the weight-regulating hormones leptin, irisin and adiponectin in the blood of adults who suffered physical, emotional or sexual abuse or neglect during childhood. As leptin has been linked to body-mass index and fat mass that helps to regulate appetite, adiponection helps to lower bodily inflammation. On the other hand, irisin gives our metabolism more energy. The latest findings revealed that adults who endured childhood abuse showed dysregulation of these hormones. As National Child Abuse Prevention Awareness Month begins on April 1st, think about America’s children and the impact that child abuse has on them mentally and physically. Empower individuals to report child victimization and intervene in situations where violence and neglect harm children. Please be sure to GO BLUE and raise awareness for child abuse prevention. In the physical world, parents see with whom their child interacts. As the parents witness this interaction they are able to help guide and influence their child’s choices. Overtime, the maturation of the child’s decision-making skills demonstrates absorption of the lessons, principles and ethics of the parent. The child displays good decision-making skills and the level of trust bestowed upon the child and their range of movement may be increased. Trust_ opens at theaters in the United States on 1 April. Safe and sound in their suburban home, Will and Lynn Cameron used to sleep well at night, trusting their children were protected. Will, in particular, was comforted by the fact that he and Lynn raised three bright children, and that once the doors were locked and the alarm was set, nothing — absolutely nothing — was going to harm his family. When his fourteen-year-old daughter, Annie, made a new friend online — a sixteen-year-old boy named Charlie that she met in a volleyball chat room — Will and Lynn didn’t think much of it. They discussed his friendship with her, assuming that this is normal with teenagers who connect through the internet. After weeks of communicating online, Annie becomes enraptured by Charlie and finds herself drawn to him more and more. Slowly she learns he is not who he claims to be, yet Annie remains intrigued by Charlie even as the truth about him is uncovered. The devastating revelation reverberates through her entire family, setting in motion a chain of events that forever change their lives in ways that no one could have ever predicted.